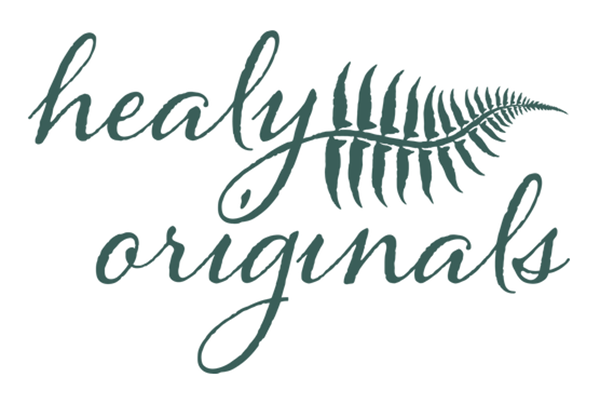 At Healy Originals, Amy Healy creates original sun-dyed and rust-dyed prints on organic cotton fabric and transforms each unique print into totes, pouches and other accessories. The hand-dyeing process features Pacific Northwest botanicals, as well as metal pieces, resulting in stunning patterns and designs that are truly one of a kind. Each print is cut, sewn and meticulously finished by Amy at her home studio in Olympia, WA. She can be found at The Olympia Farmers’ Market on most weekends throughout the year. 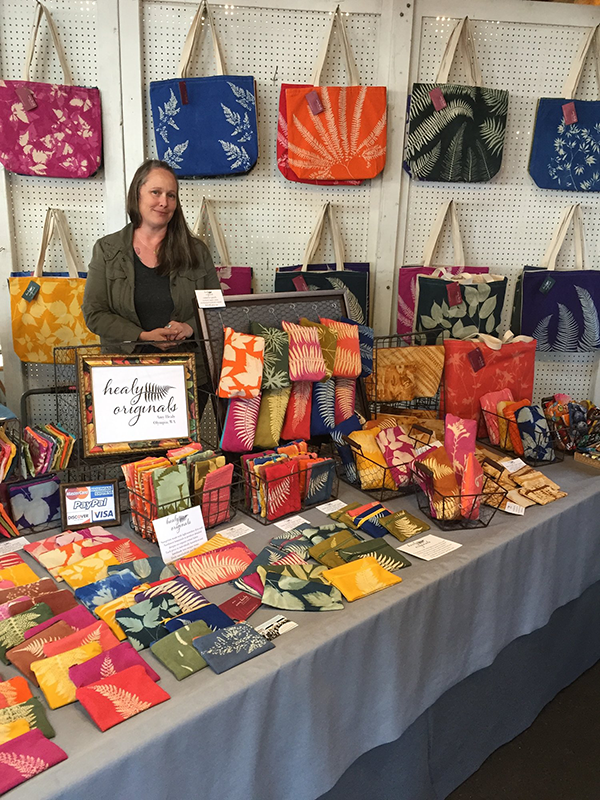 Available exclusively at The Olympia Farmers’ Market, Amy also offers a fun line of market shopping bags, totes and pouches made from recycled burlap coffee bags and recycled feed sacks and food packaging sourced from market vendors and customers.